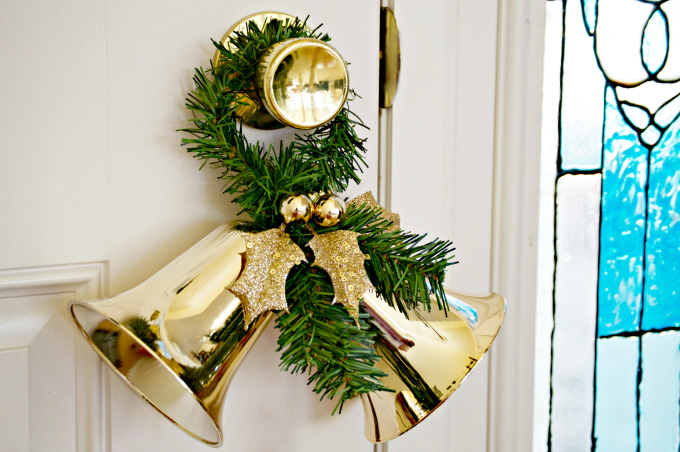 Don’t let cleaning your house for the holidays take the joy out of the season. Sure, we all want our homes to be clean and comfortable when entertaining family and friends, but that doesn’t mean you need to work yourself ragged. To borrow a phrase, the ones who mind don’t matter and the ones who matter won’t mind — and that includes any company you’ll be entertaining. 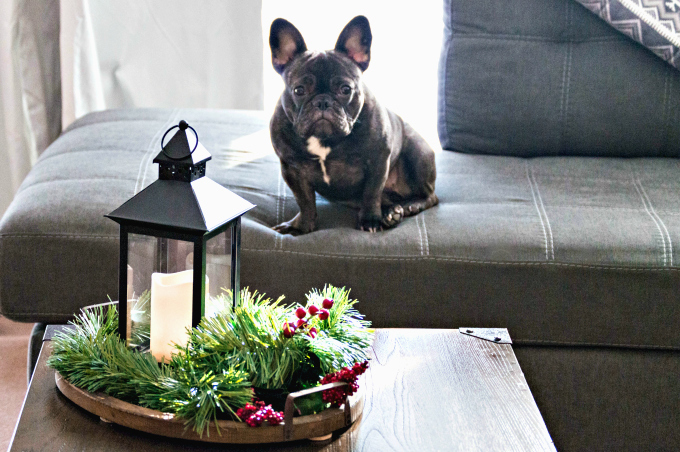 With these five tips to speedy cleaning for the holidays, your home will look lovely while leaving you with the energy and peace of mind to celebrate the season with the ones who matter. As the largest flat surface in a room, the floor is the first thing most people notice. Now’s the time to treat those carpet stains you’ve been ignoring. Most stains come up quickly with a mixture of 1/2 cup each hydrogen peroxide and water, plus 1 teaspoon of liquid dish detergent. Spray the stain lightly, wait 5 minutes, then blot with a clean cloth. Follow stain treating with a thorough vacuuming that includes going around the base of walls and heavy furniture, plus both sides of throw rugs. For hard floors, follow with a damp mop to eliminate paw prints and smears. Multi-surface dusting spray Endust will take most surfaces from sort of clean to simply stunning, so you don’t have to keep switching cleaners. 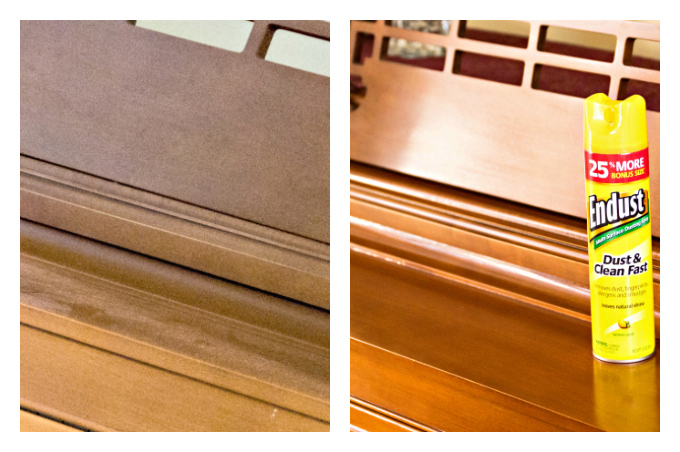 If it’s a sealed surface like wood, marble, vinyl, or stainless steel, you can clean it with Endust. While Endust cleans and shines most surfaces, you’ll want to stick with disinfecting cleaners for the bathroom. Make short work of grout stains by scrubbing them with a toothbrush and a paste of baking soda and hydrogen peroxide. Clean and shine your shower and tub, including the drain plug. Do the same with your sink and vanity then remove clutter, so houseguests have a spot for their toiletries. Finish up with a deep cleaning of the toilet to ensure it’s fresh and free of grime. Make sure your refrigerator and freezer are ready for holiday foods by discarding expired stuff. Wipe shelves and condiment bottles with a warm, soapy washcloth and stash a new open box of baking soda on a back shelf to absorb odors. You’ll also want to declutter countertops to make room for holiday cookie platters and all of that delicious food you and your guests will be enjoying. 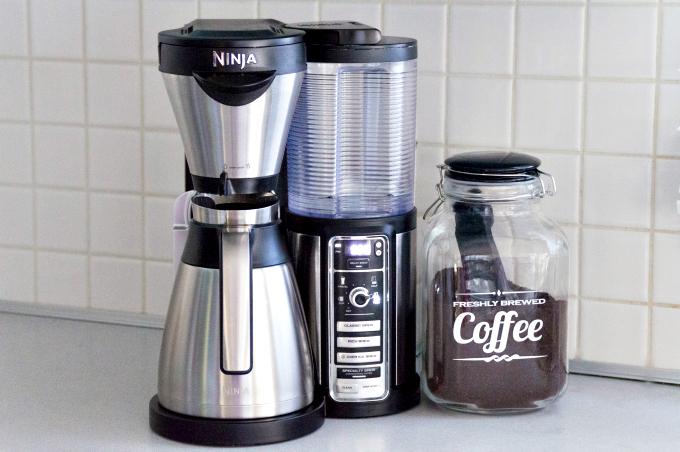 Use can use Endust to clean fingerprints and grime from most countertop decorations, even your coffee carafe. Speaking of holiday cooking, now is an excellent time to clean your oven. If you’re lucky enough to have a self-cleaning one, remove the racks and run a cycle. Older ovens (and oven racks) can benefit from a good scrubbing with a paste of baking soda and water plus a lightly abrasive sponge. Be sure to rinse until there’s no powdery residue left behind. And if your oven is has a stainless steel front, give it a quick shine with Endust. Your guests will appreciate a clean, fresh-smelling place to sleep so be sure to wash mattress covers, blankets, and sheets. Freshen dry-clean only bedspreads and memory foam pillows by tumbling them along with a fabric softener sheet on low in the dryer. Or, if they’re washable, launder them according to the label and add a couple of clean tennis balls to the dryer to fluff them as they dry. ENJOY THE GLOW OF THE SEASON! 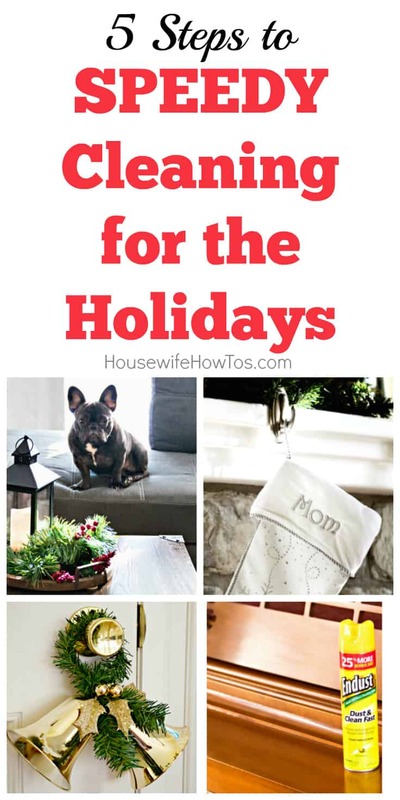 Once you’ve finished these five steps to speedy cleaning for the holidays, give yourself the gift of enjoying time with family and friends. If you’ve used Endust, you won’t have to worry about how your home looks — its shine is long-lasting, and it leaves behind a lemony scent while repelling dust for days!